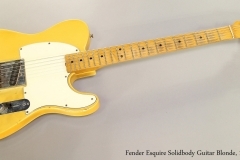 The Fender Esquire was the single pickup version of Leo Fender’s groundbreaking guitar, and appeared in 1950 with the short-lived Broadcaster, soon renamed Telecaster after a copyright notice from Gretsch, who used that name on a drum line. Structurally, they are virtually identical – many Esquires use Telecaster bodies and necks. The differences between the Esquire and Telecaster revolve around the single pickup. The pickguard is not cut, and the 3-way switch wiring provides a setting with a capacitor-resistor network simulating a neck pickup. 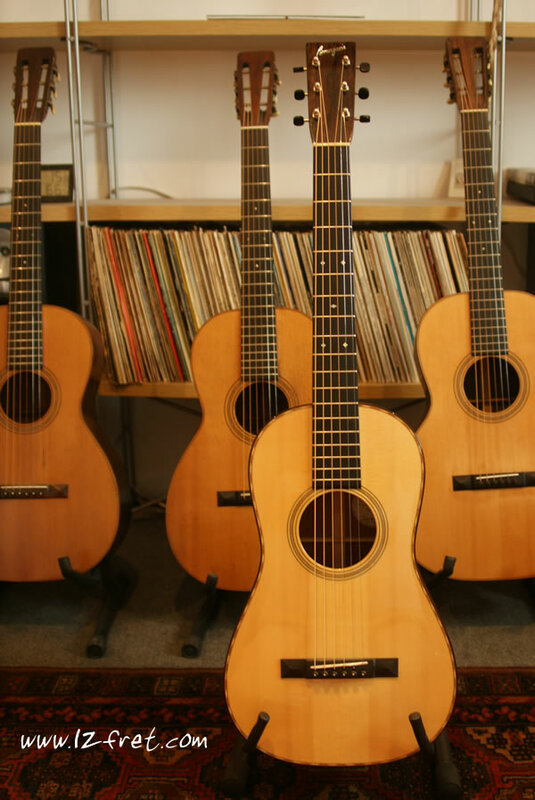 The Esquire was intended as a lower priced guitar – because of the fewer parts – but it found favour with a number of professional players due to its sound. The reduced magnetic pull of the single pickup gives the guitar a bit more snap, twang, brightness and responsiveness. Steve Cropper used an Esquire on many of the Booker T and the MGs recordings, and related sessions and tours. Bruce Springsteen used one as his main guitar for many years. Luther Perkins used the Esquire to produce the early Johnny Cash guitar sound. Jeff Beck used an Esquire during his Yardbirds period. 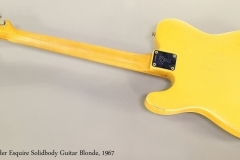 This Fender Esquire dates to 1967, the CBS era. Its neck date is May 1967 and the pots date to 1966. The ‘ash tray’ bridge cover is included in the gig bag. The pickup is original but may have been rewound, and during that process the pickup leads were cut. The switch tip is not original. The finish is original, with one dent in the top on the lower bass side. Otherwise, the finish has expected wear around the edges, and the patina that really only comes from age and use. At some point, it has been refretted. Fret wear is moderate and at least one dress is still possible, but it plays well as is. A black plastic gig bag from the period is included.